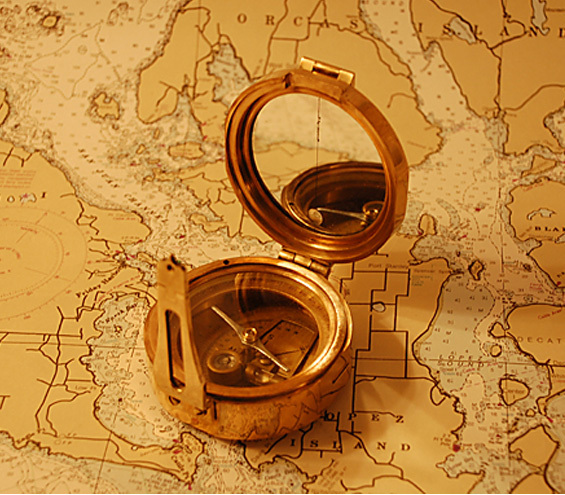 This same type of compass was given to Kevin Costner in the movie "Message in a Bottle". 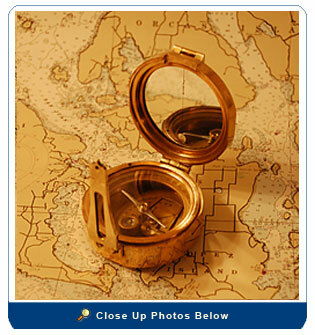 The official name is “Brinton Compass” and they were used by Naval gunners to work out the trajectory of their shots. There are two "spirit levels" within the body of the compass and a locking pin that holds the needle in place when the compass is closed. This compass was made by the Thomas Evens company of London between 1914 and 1941 but works as good as the day it was made.